Inside: These are some of the top personal finance books, with good reason! Information and inspiration for your financial journey abound in these pages. If you’ve ever lacked motivation when budgeting or not known where to start with investing, then you know that having a good resource is immensely helpful. The right words can motivate you to continue on your budgeting journey. Simple explanations can make investment jargon less intimidating. A few no-nonsense strategies can get lead to overcoming inertia so you ask for a raise or negotiate that cable bill. These are some of the best books on personal finance available. There is likely at least one, and probably more, that will speak to you. This is an excellent choice for a young adult, whether she has recently graduated from high school or college. Ramit’s no-nonsense approach is simple and works well. He teaches straight-forward, effective approaches to saving, investing, budgeting and banking. There are methods to negotiating debt, automating your money, negotiating a pay raise all while letting you still buy your latte. Broke Millennial is a finance book written by a millennial, for millennials. Its casual tone makes for reading that will hold interest while presenting practical information. This book, written by two professors, looks at how money CAN buy happiness and how to get the most joy from your spending. This isn’t a book about budgeting or how to invest. But if you are wanting to learn more about spending your money wisely and in a way that is proven most likely to bring happiness, then this is the book you want to read. This book was born out of a series of letters from the author to his daughter for the future. In this book, J L Collins talks about simple truths of personal finance including debt, handling investments, and how to think about money. He offers great insight and a path to financial independence. All Your Worth helps readers navigate finance by teaching how to balance wants, needs, and savings. The authors introduce the 50/30/20 budgeting. This method helps people manage money with an accessible approach that does not involve counting pennies. This is a finance classic. Chapters are short stories / parables which are personal finance lessons that are as applicable today as they would have been in ancient Babylon. Dave Ramsey is one of the biggest names in personal finance. If you need help with budgeting, getting out of debt, and controlling your spending, this is a must-read book. In The Automatic Millionaire, David Bach shares his secret to retiring well by paying yourself first and automating savings. He provides resources to help you get started and information on shopping for interest rates and consolidating debt. Vicki Robin shows readers how to use money for living well, rather than just making a living. She approaches money with a goal of financial independence in mind and encourages mindfulness, minimalism and good habits for managing your money. The Millionaire Next Door describes traits often found among the wealthy. And their examples of the wealthy aren’t the flamboyant superstars you see in the news, but the guy down the street. While some of the previously listed books talk about investing, if you are ready for a bit more information, the following list has books that are excellent for those that want to learn more about investing money. These are some of the books I’ve read to formulate the investing strategy for our family. In this book, William Bernstein goes into choose an effective mix of asset classes, warns of dangers of picking individual stocks, and provides strategies for managing your portfolio. While these topics sound complex, the book is presented in a way that is easy to read and simplifies the jargon that laymen run into when trying to learn about investments. This book is a classic written by a pioneer of mutual funds. John C. Bogle explains why low-cost index funds is the most effective investment strategy to grow wealth. This new edition includes information on asset allocation and retirement investing, as well. Benjamin Graham’s book on investing is one of the staples in any investing library and has a well-deserved reputation. He teaches the development of long-term investment strategies that have stood the test of time. This is a book that even Warren Buffett recommends. 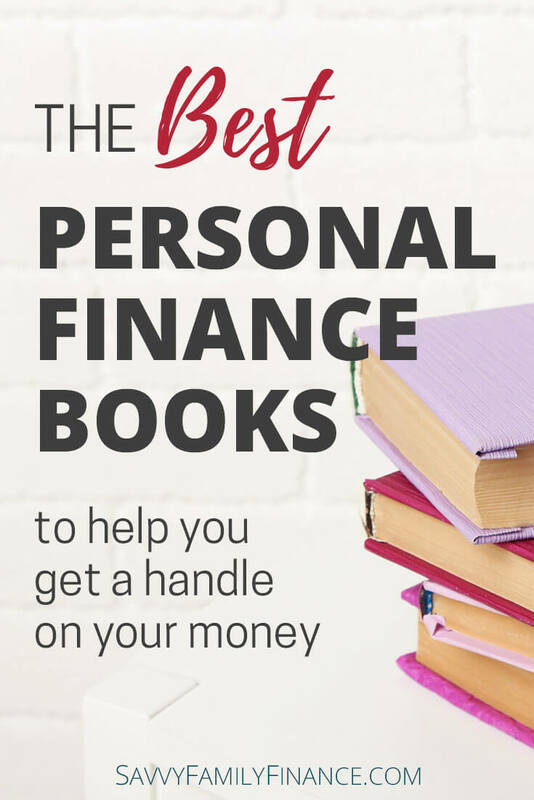 Do you have a favorite personal finance book? I have my work cut out for me next year. I’m going to add several of your picks to my reading list. Thanks for sharing, Laura!